Since the Barks and Baristas event during Advertising Week NYC was such a hit, it was high time we brought our pups & cups party to the West Coast. If we learned anything from the first one, it's that mornings should start with caffeine, canines, and good conversation. 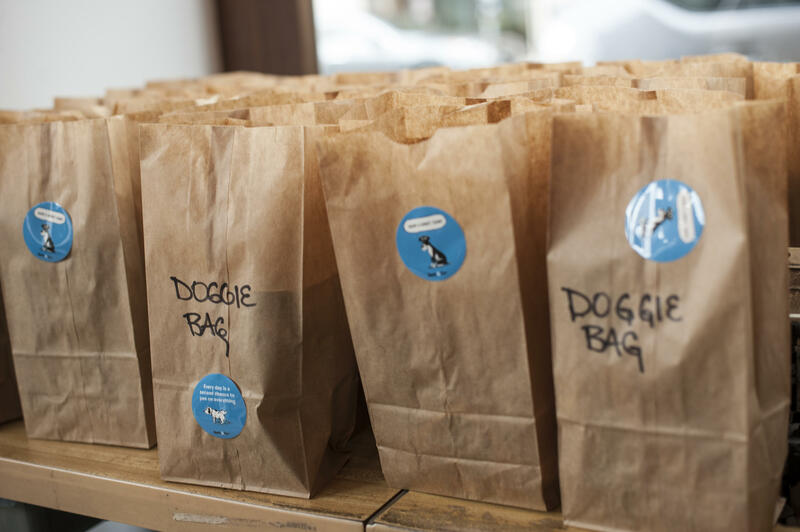 So we teamed up once again with Bark & Co. to bring some smiles to local faces. This time, we took over a gorgeous tailor shop right in the heart of downtown San Francisco. We partnered with Storefront to land a killer venue: The Tailor's Keep shop on the ground floor of the historic Drexler Colombo Building – a 103-year-old Beaux-Arts beauty right in SF's Jackson Square Historic District. It was the perfect setting for 100 of the Bay Area's finest movers & shakers. The heavenly scent of homemade Belgian waffles filled the air, while a killer jazz duo played some sweet tunes to serenade our overly-caffeinated guests. It was a great crowd from SF's tech, media and brand marketing scene — Postmates' Andrew Mager, Uber's Molly Deshazo, Bark & Co's Suzanne McDonnelland, Working Not Working's Adam Tompkins, and a very special Barks & Baristas regular, GIPHY's Julie Logan, among others. When you look around the room and see most of your guests striving to capture the most perfect Instagram, you know you've hit Party Science gold. The most Instagram-worthy part of our morning soirée? Why the celebrity dogs, of course. 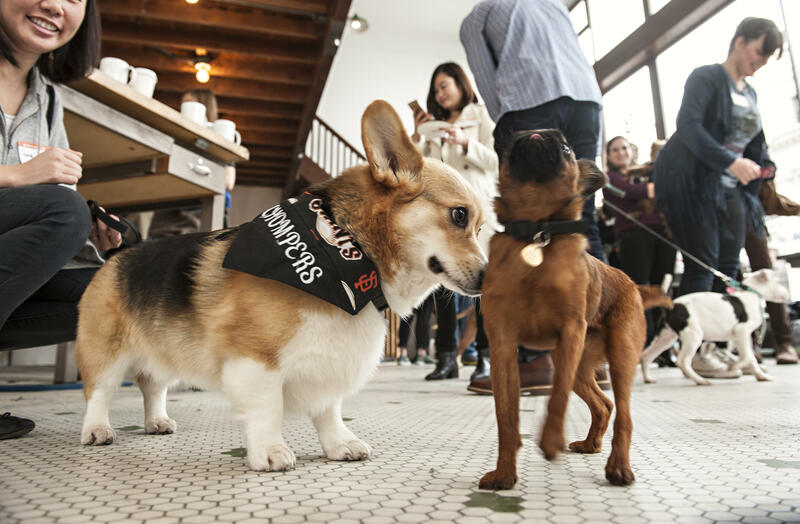 As you can see, pups like Chompers the Corgi and Rio the Boston Terrier totally stole the show. Where will we take Barks & Baristas next? Tweet us at @splashthat and tell us why we should come to your town. In the meantime, please take a moment to soak in all this cuteness — you can find even more photos on our post-event page. 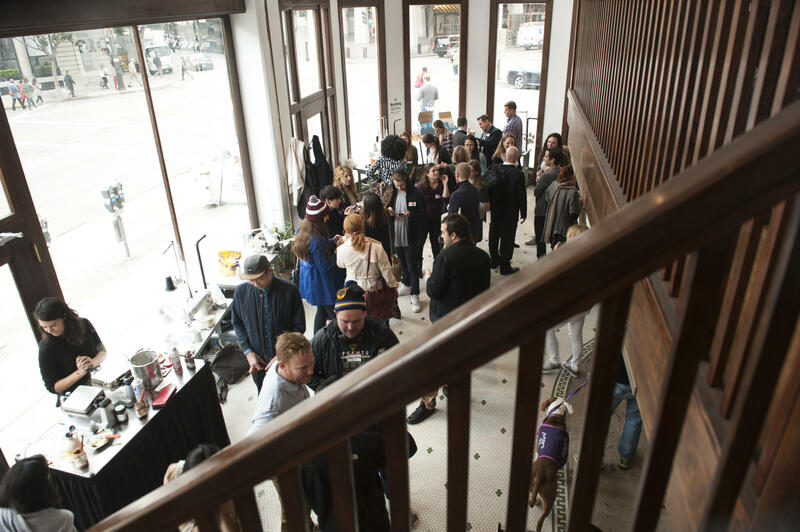 (Oh, and checkout The SF Chron's killer writeup of our event)! Molly McGlew is the Micro-Content Strategist at Splash. You can find her managing our @Splashthat social handles and crafting blog content on the reg. There isn't anything scheduled yet, but please check back soon to find fun events near you! There's been an error loading the calendar, please try again later. Whoops! Couldn't load the calendar cards.